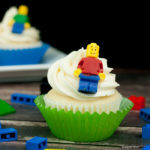 Want amazing LEGO cupcakes to wow your party guests? 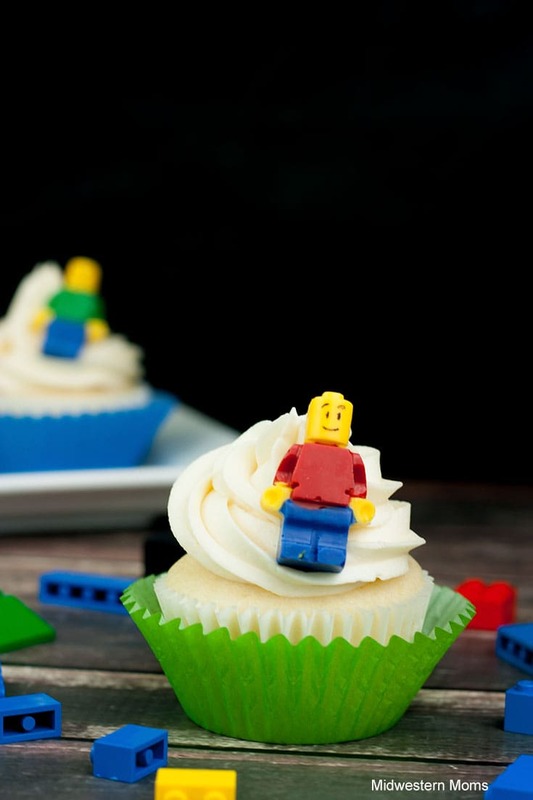 These cupcakes are perfect with edible LEGO minifigures toppers! Minifigs are easy to make, video included. As I mentioned in my LEGO Rice Krispie post, my son turned 6 and we held LEGO themed birthday party for him. We decided to make cupcakes and add little candy figures to make them fit the theme. I had already ordered the silicone molds and I just used the smallest figures in the set (came with 2 small silicone figure trays). What is very nice about these molds, there are dividers in them so you can easily have different colors in the figure! It takes a little bit more work, but it is totally worth it in my opinion. You will need Wilton candy melts in yellow and your color choice for shirt and legs. I chose red and green for the shirts and all of them have royal blue legs. I also suggest using disposable piping bags. Starting with the yellow candy melts, melt according to the package. Using the piping bags, pipe in the head area up to the ridge. Do this on all the molds. Next melt the color you plan to use for the shirts. Pipe it in the shirt area of the molds up to the ridges. Don’t go past or you may fill in other parts of the figure. Third, melt the blue for the pants. Pipe it in the leg areas of the mold just up to the ridges as well. Then add yellow for the hands, fill these areas up to the top. Then fill the heads to the top of the mold. Go back and fill in the shirt and pants area of the molds to the top. You may need to re-melt the candy melts in between use. I just put them in the microwave in the piping bags to remelt. Place the molds in the fridge for about 30 minutes. Then gently pop the candies out of the molds. 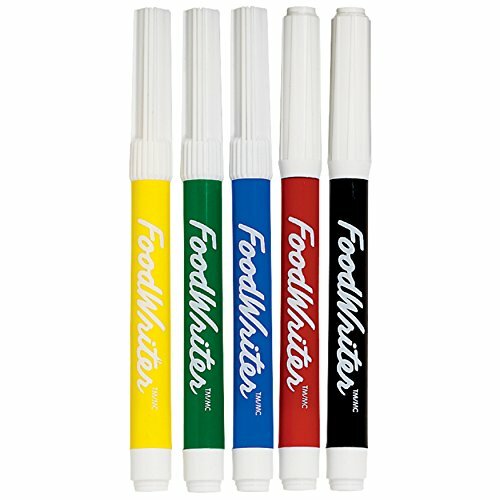 If you want to add a face, use an edible marker to draw on faces. 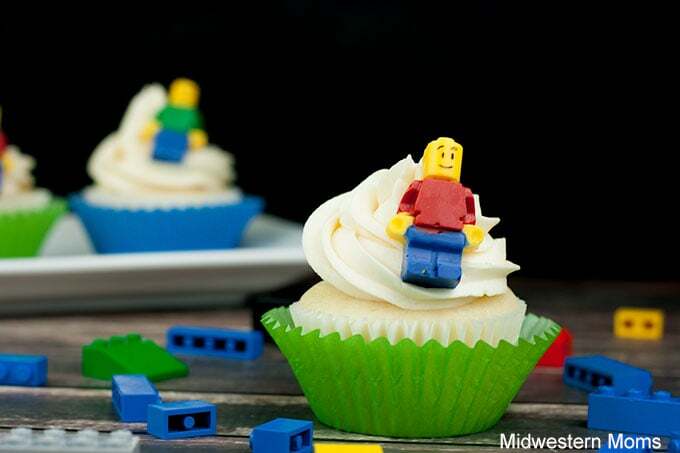 Perfect cupcakes to help celebrate a die-hard LEGO fan’s birthday! See post instructions on how to make. Super cute!! My grandsons would love these for their birthday parties.